Thunderbolt for everybody? Although many Macs feature a Thunderbolt port, it is not often used as the few peripherals offered are either expensive or rather specific. 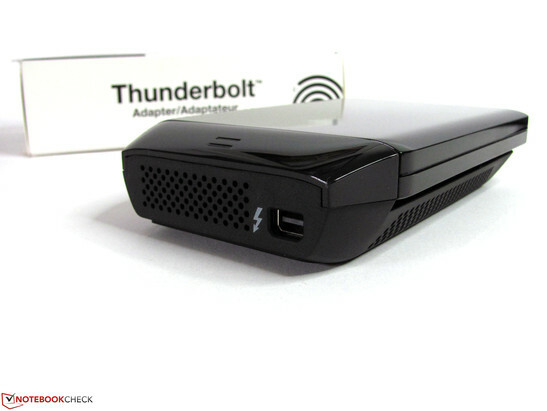 Could Seagate's Thunderbolt adapter gain more popularity among users? The interface jointly developed by Intel and Apple in 2011 has not been as successful as both had hoped. At the time of release, virtually no compatible peripherals were available and only a few were announced with vague launch dates. Even today there are but a handful of Thunderbolt devices like Apple's Thunderbolt-compatible displays and specific RAID systems. Apple has been pushing Thunderbolt connectivity in their lineups rather intensely instead of more well-known (but comparatively slower) options like USB 3.0 and eSATA. 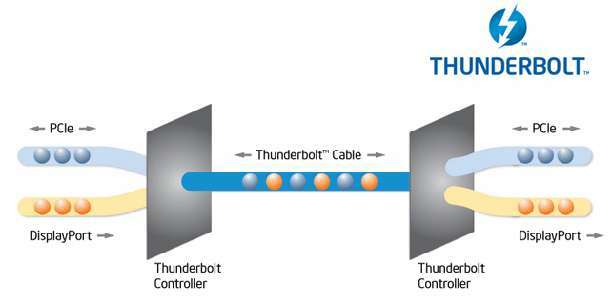 Here, Thunderbolt is seen as a replacement to the aging Firewire and to allow for more compact designs with less required interfaces for reduced production expenses. With support for simultaneous transfers of up to 10Gbit/s, the port should be sufficiently fast even when daisy chaining multiple devices. Another advantage of Thunderbolt is its native support for both PCIe and DisplayPort protocols, which further allows support for all kinds of external peripherals. Further technical details are available on Intel's Thunderbolt homepage. 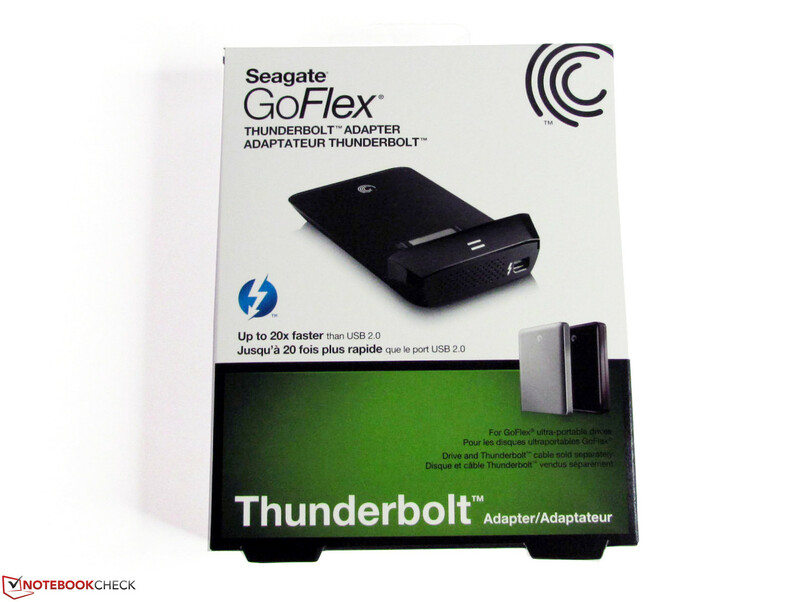 At the time of writing, Seagate's Thunderbolt adapter for the GoFlex series is only available in an Apple Store. The price is a steep 119 Euro, although Amazon is currently selling the same adapter for $99 USD. 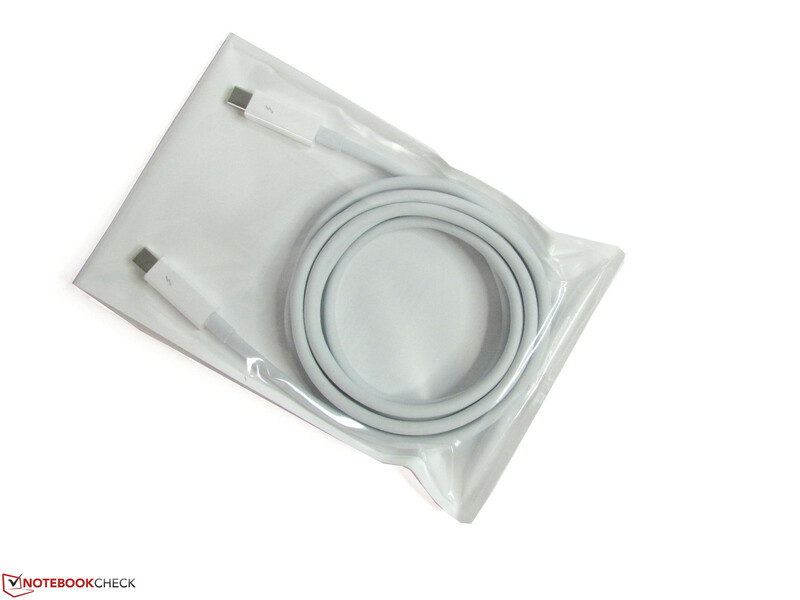 An actual Thunderbolt cable is not included either, so most users may have to put down another $20-$50 just for the connection. When you consider that other external hard drive systems do not come with Thunderbolt cables like LaCie's Little Big Disk or Western Digital's My Book Duo, the total investment can be somewhat expensive. Nevertheless, Thunderbolt is indeed still very expensive compared to USB 3.0 or eSATA solutions. Another limitation is that Seagate's adapter only features a single Thunderbolt port. As a result, you will always have to use it at the end of the chain if you must connect multiple Thunderbolt devices in series. 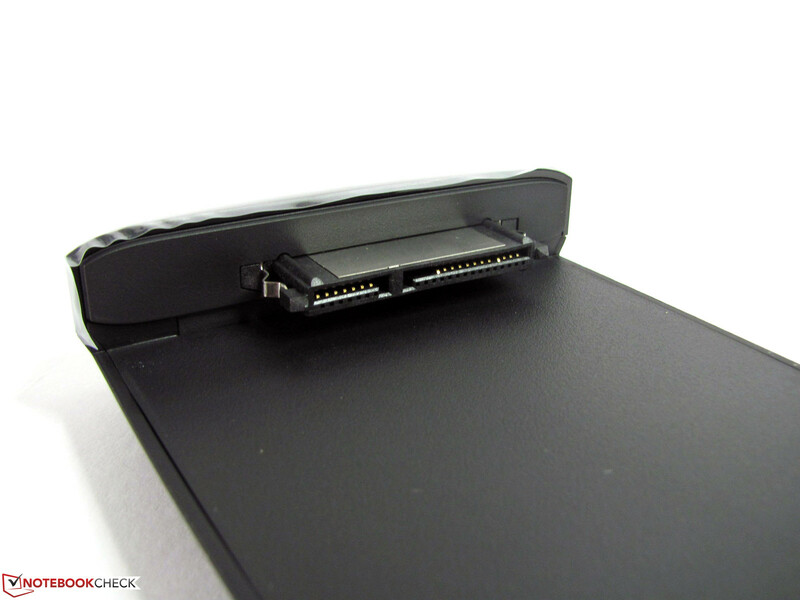 The adapter itself weighs about 90 grams, not including the cable (70 grams) or GoFlex 500GB drive (140 grams). The total setup is a bit heftier than most external 2.5-inch hard drives. When the storage device is in use, the exterior becomes noticeably warm and somewhat justifies its large vents. Our power meter shows that the drive requires a lot of energy even when idle. For example, while our Mac Mini only demands 9.6 watts when idle, connecting the GoFlex 500 GB raises the power draw to a steep 16.9 watts. The 7.4 watt increase is somewhat significant and can reduce the battery life of MacBooks to some extent. As a result, this solution is not recommended for extended mobile use. 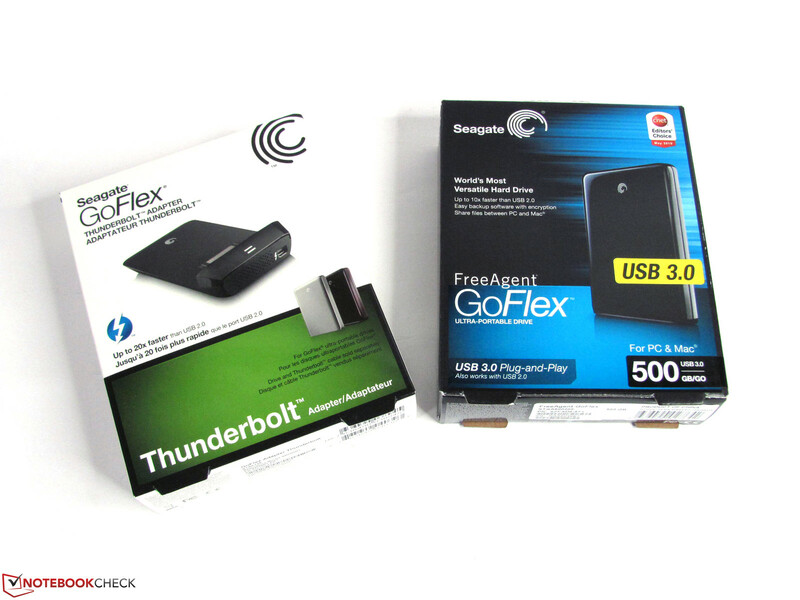 We tested Seagate's solution with the already mentioned GoFlex hard drive (500 GB, 5400 rpm). The performance of an internal drive (ST9500325AS) is provided below as well for comparison's sake. xBench recorded 75 MB/s and 69 MB/s in read and write performance, respectively. Thunderbolt can also recognized under Windows (MacMini with Bootcamp) without problems and delivers nearly the same results. 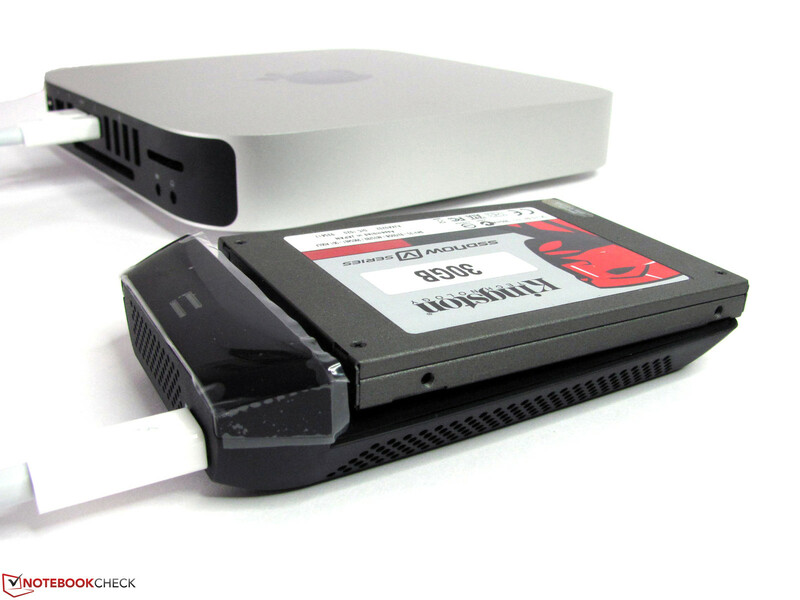 Although not an ideal setup, connecting an internal storage device to Thunderbolt is definitely a handy way to quicken existing mass storage devices, especially on Macs. We tested several SSDs and hard drives which all ran at their native performance levels. Unlike FireWire, transfer speeds were not limited to just 80 MB/s as the larger Thunderbolt bandwidth allowed for much greater speeds. This is especially true for SSDs as our tested 120 GB Intel 320 was able to achieve 243 MB/s and 130 MB/s in sequential read and write, respectively. The slightly older Kingston SSD resulted in 155 MB/s read and 73 MB/s write, which is still respectable and much faster than if a Firewire connection was used instead. Put simply, Thunderbolt brings fast external device to Macs. 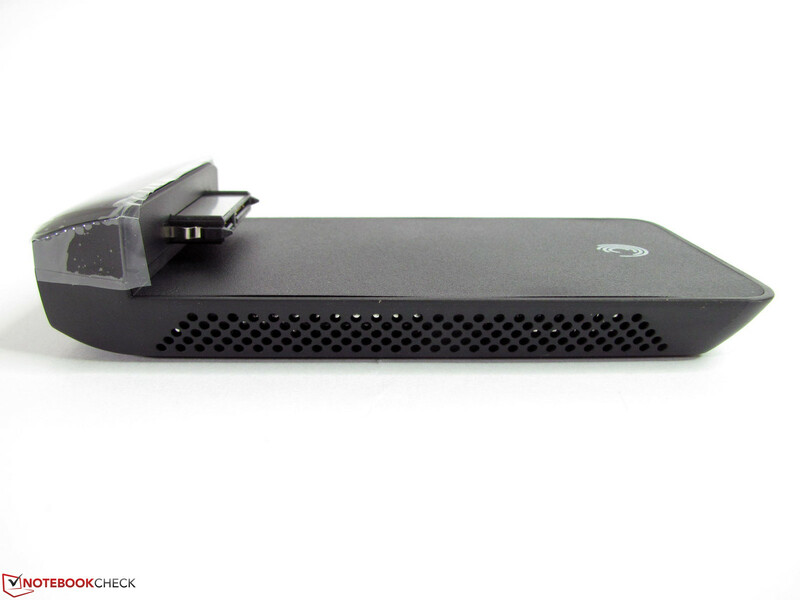 As we have already seen in tests, Seagate's adapter is a very appealing concept that makes many mass storage devices available for Thunderbolt. Mac users who already own a GoFlex drive will definitely benefit from the Thunderbolt extension as reviewed here. But, the performance has its price: Seagate's Thunderbolt adapter is big, expensive, power-hungry and comes without a Thunderbolt cable. Furthermore, the adapter is only compatible with conventional drives, which limits the possibilities. 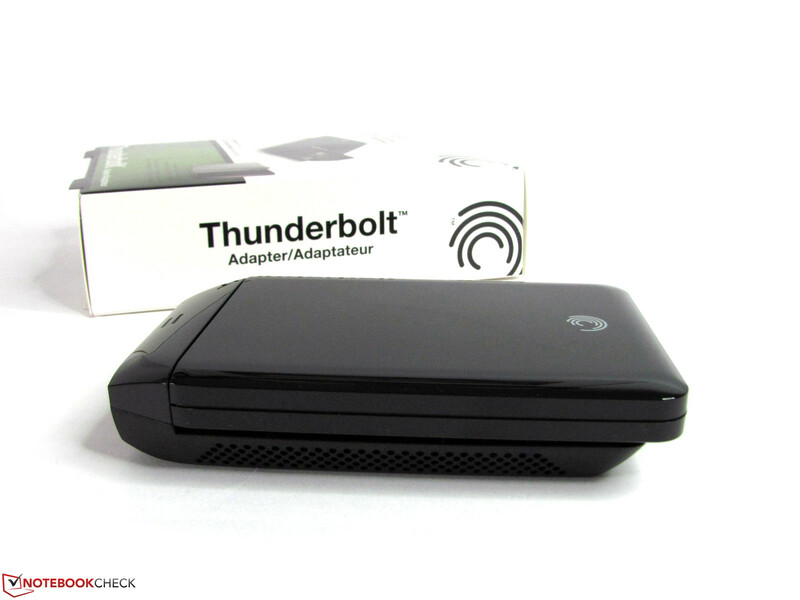 Nonetheless, the Thunderbolt adapter allows for quick and convenient hard drive connectivity for Mac users with very fast results. The case is rather big and has a lot of vents. 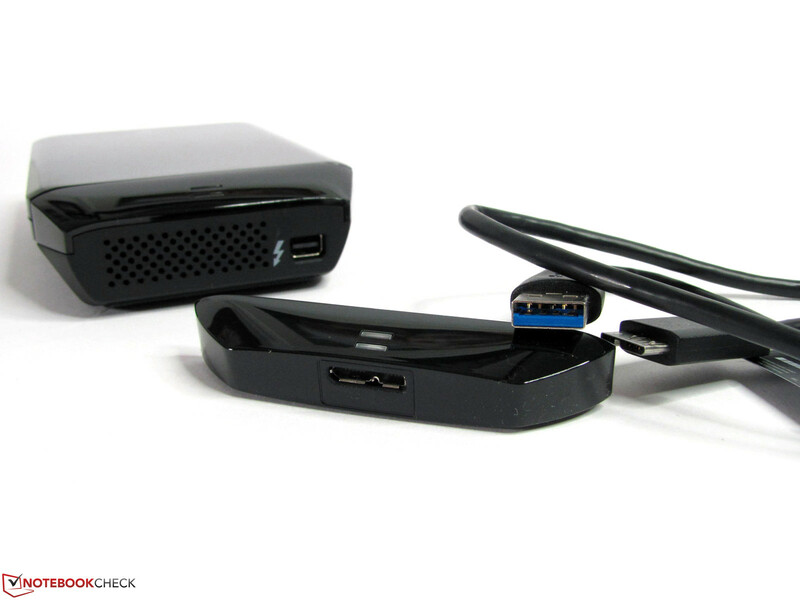 high performance on Macs and a good alternative to FW800, USB 3.0, and eSata.